They didn’t wait until their mid-20s to flex their muscles and display their raw power. 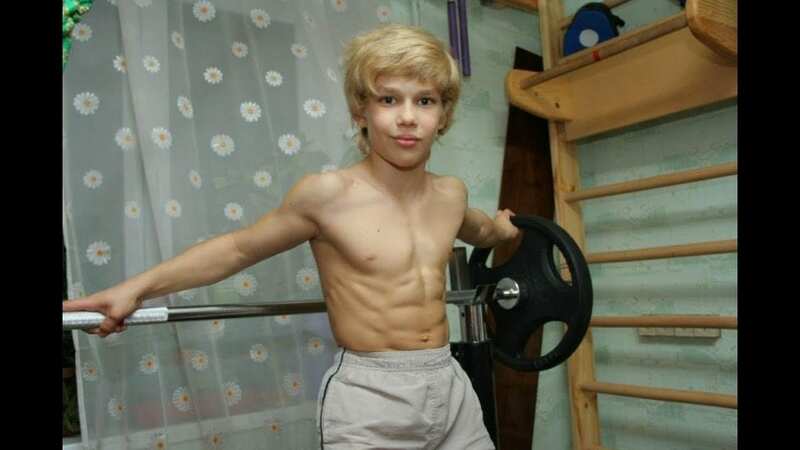 These kids started lifting impressive weights and gaining international attention at a young age. 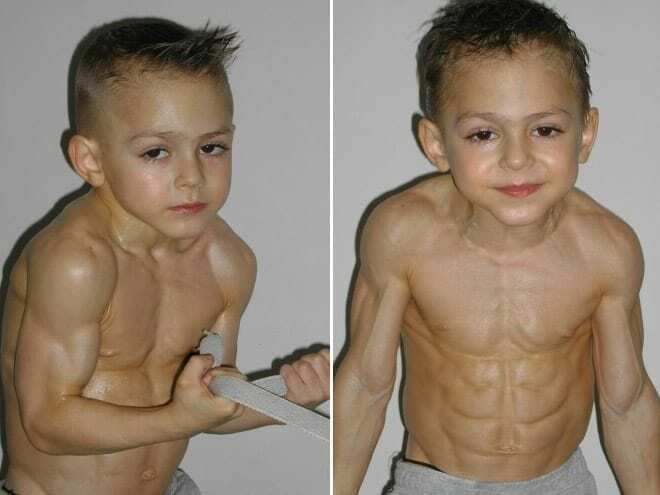 Thanks to insane training regimens or genetic mutations, these kids are stronger than most adults will ever be. Introducing the strongest kids in the world and the crazy feats they can do and records they set. These two chiseled Romanian brothers are absolute freaks of nature. Most two-year-olds are a bumbling bunch of incoherent goofballs waddling around the house while they begin to master their balance. But Giuliano and Claudiu Stroe were doing much bigger things. They were lifting weights and training two hours every day with their father. And that training didn’t just result in chiseled abs and bigger biceps than most adults have. It landed the older brother, Giuliano, in the Guinness Book of World Records … twice. By the time young Giuliano was just five years old, he had two world records. The first record was for most air push ups, a move where one does a 90-degree push up without letting their feet touch the ground. The second one was for fastest 10-meter hand walk with a weighted ball between one’s legs. Yet, the Stroe family, despite their international fame, hasn’t been able to profit much off it. The family remains in a tough financial situation after a move to Italy, where the father attempted to gain celebrity by marketing the family as the “Little Hercules Family,” didn’t pan out. Today the father sells scrap metal and uses whatever spare money he has to fund the boys’ training regimens. When he was just six years old, Ukrainian-born Richard Sandrak was considered the strongest human in the world, pound for pound. He could bench twice his body weight, and as an eight-year-old, Sandrak was benching a whopping 210 pounds. As a child, Sandrak was forced into an insane training regimen by his abusive father. He would consume Lima-beans by the can and eat heads of lettuce to stay lean. 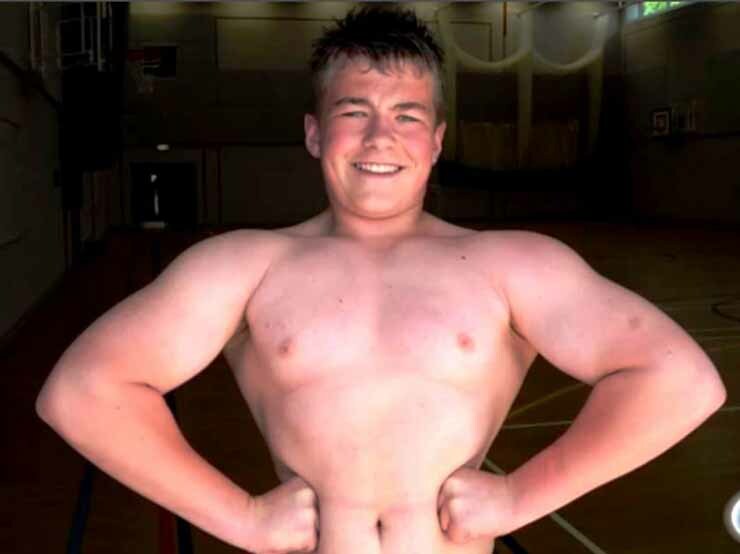 His lifting became so absurd that doctors speculated he had to be taking steroids, because the amount of testosterone required to lift that heavy was simply not present in pre-teen bodies. To keep his perfect posture, Sandrak slept on the floor, something he claims wasn’t a big deal. It also wasn’t until the age of 10 that Sandrak was allowed to have interactions with other kids his age. He was isolated and deprived of a childhood. But he became a sort of fringe celebrity, one that starred in a few films and was widely regarded as the strongest child in history. One of his movies, “Little Hercules in 3-D,” stars Sandrak alongside other celebrities such as Hulk Hogan, Judd Nelson, and Robin Givens, Mike Tyson’s former wife. Today, Sandrak aspires to work for NASA and pays the bills as a Hollywood stuntman, but his training days and out-of-this-world physique are long gone. China ranks near the very bottom of the world’s BMI (body mass index) list. What that means is the average person in China is not very heavy. Obesity is not a big problem in that country. Conversely, America ranks near the top of the list, a ranking the country has been battling with for decades. 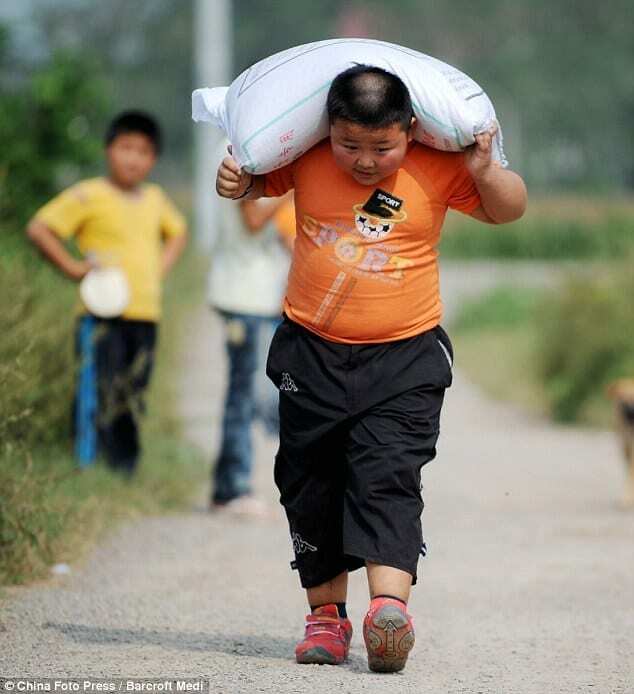 But Yang Jinlong, a seven-year-old from China’s Anhui Province, defies traditional logic and expectations. Whatever you thought was impossible, Yang can prove otherwise. He weighs about 110 pounds, which is about three times the average weight of a seven-year-old. And with that great weight comes great strength. Yang’s most famous feat is being filmed pulling an almost two-ton van (roughly 2,000 pounds). But Yang’s strength isn’t confined to towing cars. Another popular stunt of his is carrying his 200-pound father on his back with ease or slinging 200-pound sacks of wheat and concrete on his back. 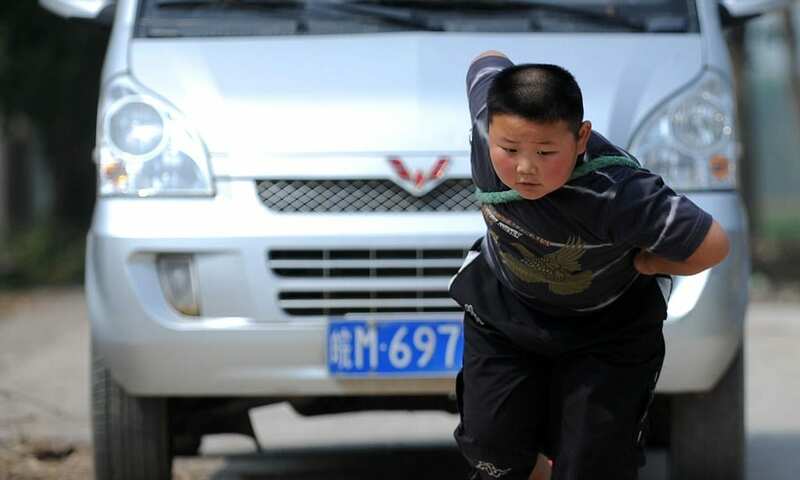 Although many people seem to be concerned with a child pulling cars by a rope and hauling bags of concrete on his back, the young Yang seems to be quite content with his almost super-human strength. When asked how how he generates such power, a grinning Yang replied, “Because I’m fat!” And with that statement, we now know two things. Yang is strong, and Yang is honest. She’s a passionate communist, pseudo global ambassador, and is considered one of the world’s strongest girls — specifically in the bench press. Maryana Naumova is an ardent lifter who, at just 12 years old, became the youngest girl in history to bench over 70 kilograms (154 pounds), nearly 1.5 times her body weight. What began as a hobby — her dad is a body builder — has turned into a full-fledged career. By the age of 10, Naumova was competing around the globe, and by 12 she had dozens of world records in weightlifting. She also became the first female under-18 to compete in the Arnold Classic, a tournament she won in 2015 by benching a remarkable 330 pounds. More importantly, she met her idol Arnold Schwarzenegger. But being able to bench absurd amounts of weights is only a part of her daily routine. She’s heavily involved with Russia’s Communist Party and tours schools and orphanages across Russia to promote weight lifting and lift spirits. She’s also traveled to war-torn communities in the Ukraine to help spread some smiles. However, in the Ukraine, her fanfare is found exclusively in parts of the country that support Russia. The rest of the country labels her a sympathizer with an oppressive regime. When an injury sidelined 10-year-old C.J. Senter from youth football, he decided to get fit and stay active. But he didn’t just go to the backyard and play catch or go on a light jog. C.J. Senter decided create a full-body fitness workout and put it on DVD. He decided to change the culture of youth fitness in America. With the help of his parents and a cool $25,000 used to hire a professional film crew, C.J. embarked on a journey to curb childhood obesity. 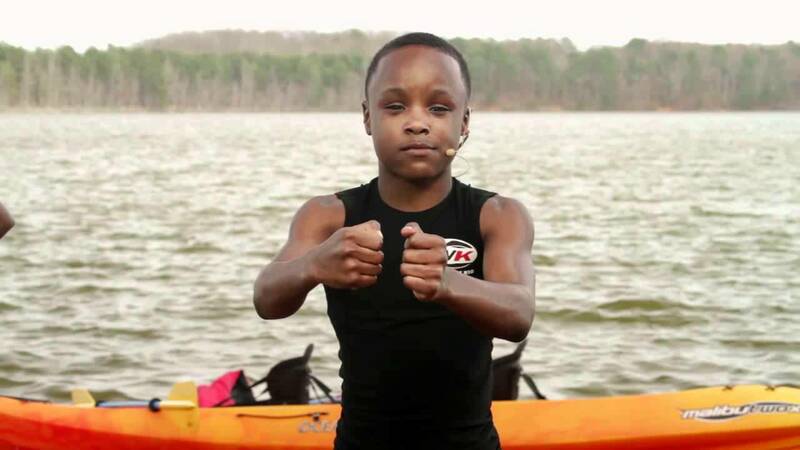 With a variety of unique moves such as jumping jack squats and a push up/lunge combo, “Workout Kid” has made a huge difference for a number of kids in CJ’s hometown of Locust Grove, Georgia. Senter has sold thousands of DVDs and his reputation and six pack continue to grow stronger with each day. “Workout Kid” is even a standard part of some elementary school gym classes in Georgia. But C.J. and his parents insist that this newfound stardom and celebrity status isn’t a scheme to get rich, it’s just a way to have fun and get kids moving. Young Arat Hosseini hasn’t set any Guinness records yet. Nor is he a champion in his sport (his time will come). But what he is is freakishly strong and coordinated. Arat lives in Babol, Iran, in the country’s northern Mazandaran Province. 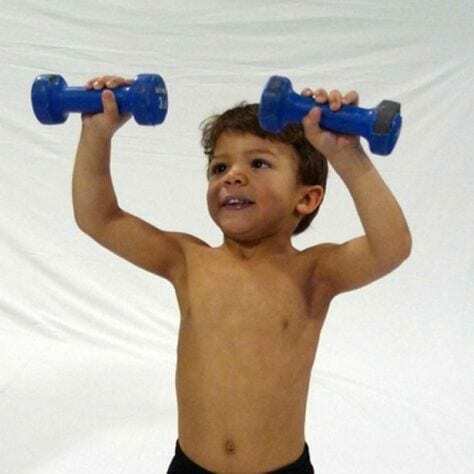 At nine months Arat began working out, and at just three years old, Arat was doing pull ups and push ups with 14-pound plates on his back. He’s a deft climber, can do full splits, execute a clean back flip, and do one-handed push ups with ease. He’s also very talented on the pitch and is as passionate about soccer as he is about staying fit. What’s even more remarkable about his strength is how little Arat trains. According to his father Muhammad, Arat spends a maximum of 20 minutes per day training and emphasizes that the training is just for fun. Arat’s ultimate goal is to become a professional soccer player, not a bodybuilder. If there’s a task that seems too tall to tackle, Arat defies the odds. Usually, according to Muhammad, Arat can figure out how to overcome any physical challenge with about 10 minutes of practice and perseverance. And Arat’s online presence is growing even faster than his physical abilities. On Instagram, he has 1.8 million followers and provides his fans with almost-daily updates regarding his soccer skills and gymnastic conquests. Ok, there’s not a lot of information on young Andrey Kostash. But from what we can garner, this little Ukranian is an absolute beast. Have you noticed how many of the world’s strongest kids originate in countries like Russia and the Ukraine? It’s definitely not a coincidence. But back to Andrey Kostash. At five years old, Andrey began training, because youth soccer and hanging out with friends is overrated. Training builds confidence and muscle. Cartoons build bad habits. At six, Andrey completed 3,000 consecutive push ups. For reference, the average amount of consecutive push ups expected out of someone ages 17 to 19 years old is between 19 and 34. But Andrey wasn’t satisfied with 3,000. One year after hitting 3,000, Andrey went on a mission to shatter records and place himself in the Guinness Book of World Records. He did so by completing 6,000 consecutive push ups in front of a cluster of Ukrainian media and Guinness Record officials. The 6,000 push ups also set a Ukrainian national record. For those of you who are incredulous, head over to guinnessworldrecords.com to take a look at some of their astonishing push up records. Although this number may seem absurd, it can be physically done. Also give Andrey a quick search on Youtube.com to check out some of his ridiculous workouts that will make you question your existence. South Carolina’s C.J. Cummings is America’s next great hope at weightlifting. Since entering the sport, C.J. has dominated the competition and raised the bar with each record he breaks. At 11 C.J. 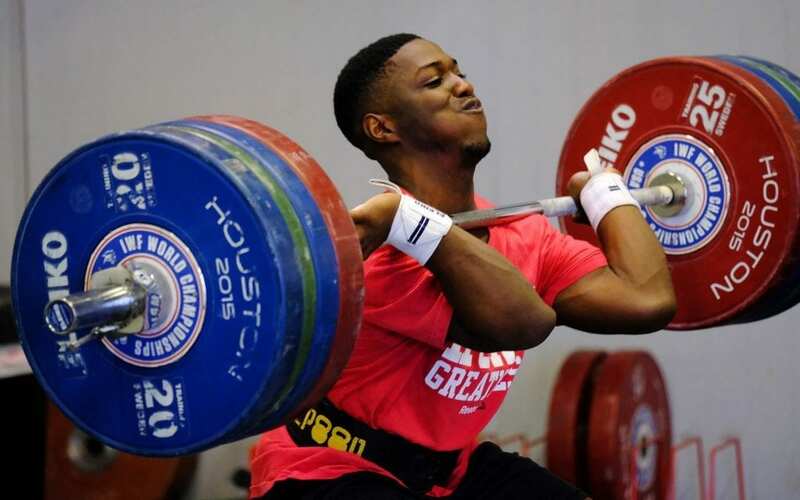 became the youngest lifter in the world to complete a clean and jerk that was twice his body weight (200 pounds). One year later, Cummings earned a silver medal at the Men’s American Open, making him the youngest to compete and place at this prestigious event. 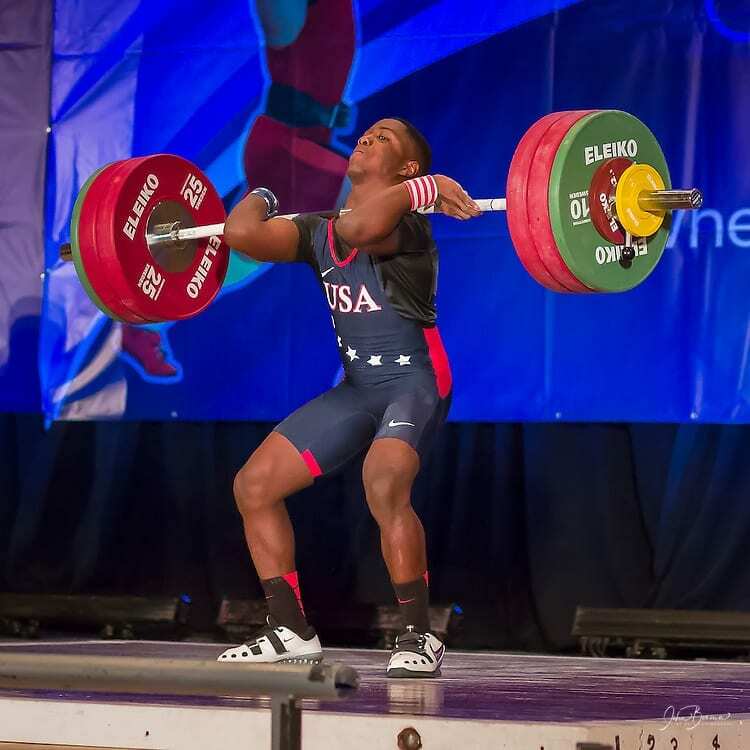 As a 14-year-old, Cummings broke an American clean and jerk record by lifting 337 pounds at the USA Weightlifting National Championships. Today, Cummings competes, as he has been for years, with the U.S. National Team and is a proud owner of 12 American records. Yet the most amazing part about C.J. Cummings is his age. He’s still a teenager (18) yet is easily one of the most accomplished members of Team USA, and his stock is only rising. People don’t reach their full physical peak until mid-to-late twenties, so whatever C.J. has already done will most likely only improve. And the other amazing part about C.J.? His entire body of work has been documented. He’s not living in some remote part of the Russia where minimal footage or information exists, where performance enhancing drugs can be rampant, where records can’t be confirmed. He’s living in the States competing with Team USA and documenting his insane journey on Snapchat and Instagram. Most Orthodox Jews aren’t involved in competitive weightlifting, and of the few who are, the overwhelming majority of them are men. But none of those men have become as famous as Naomi Kutin, an Orthodox teenage girl from Fair Lawn, New Jersey. Naomi’s father was a power lifter but never pushed the sport onto her. One day, Naomi, a karate practitioner, asked to learn the art of lifting. That’s when the meteoric rise to stardom began. At just nine years old, an 88-pound Kutin squatted 215 pounds, shattering the women’s world record which was previously established by a 44-year-old German woman. 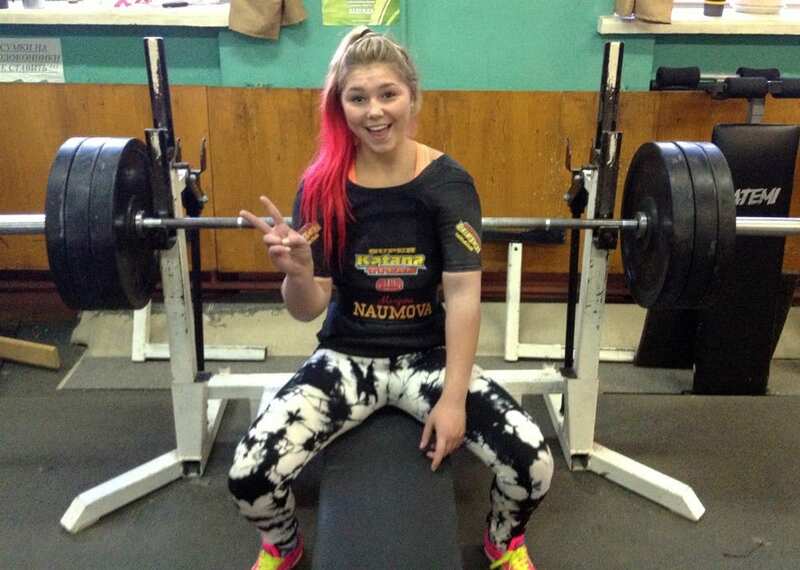 As a 16-year-old, Kutin, who weighed just 132 pounds, lifted three times her body weight. She squated 325 and dead lifted 365. Her warm ups include a strong dosage of heavy metal music and a series of grunts that psyche up the otherwise reserved teenager. Nicknamed by her peers “Super Girl,” Kutin has accumulated a cult following and was the subject of a documentary that aired on PBS. 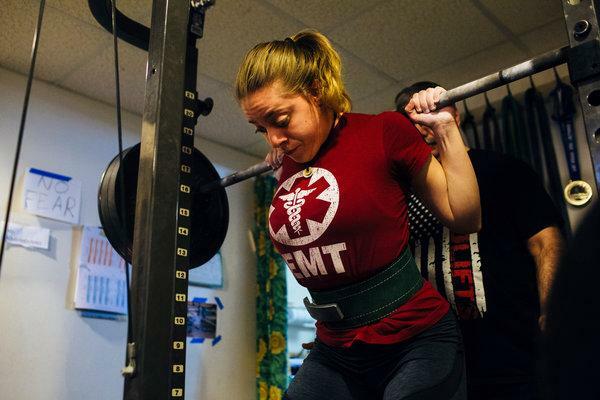 The documentary highlighted the uniqueness of her situation as an Orthodox lifter. Because of her faith’s strict guidelines, Kutin is prohibited from lifting or competing on Saturdays, so tournaments and competitions often allow her to postpone her event until Sunday- the day where men are usually slated to compete. According to USA Today, Baltimore is the most violent, dangerous city in America, and maybe that explains why the Orioles can never get fans in the seats. And maybe that’s why Jake Schellenschlager decided to get into weightlifting. To get stronger and be able to defend himself. Or maybe it’s because his father was a weightlifter. Jake began pumping iron at 11 and has not looked back. His life, for that matter, is almost consumed by it from the meals he eats to the training regimen he adheres to. But to be the best, you have to be willing to make sacrifices, and pizza and junk food appear to be the price Jake is willing to play to lift his way to the top. 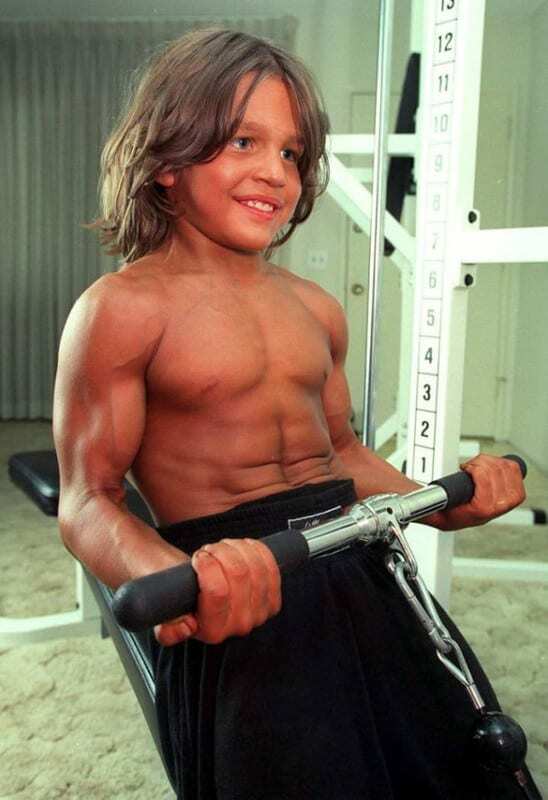 As an 11-year-old, Jake dead lifted 175 pounds. Today, the 5-foot-7 15-year-old maxes his dead lift at 400 pounds. 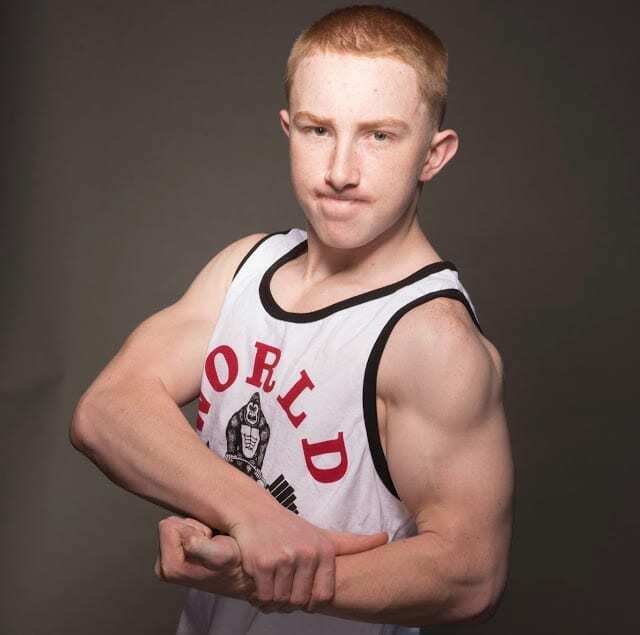 He’s sponsored by World Gym and is the most dominant lifter in America his age. What does the man-child eat to maintain his strength? Rice, lots of egg whites, and grilled chicken. Can’t forget your protein shakes either. Jake has those twice a day with milk. His biggest inspiration? His father, a former power lifter who was forced to stop competing after he threw out his back. The two go to the gym together and inspire one another to keep breaking records. The daughter of a circus strongman, Varvara Akulova was born in the Ukraine to extreme poverty, which makes her story that much more remarkable. At seven years old, the spindly Varvara began to train with her father using whatever workout equipment the family could afford, and that wasn’t much. In 2002, a 10-year-old, not even 90-pound Varvara set a Guinness World Record by lifting 220 pounds. A few years later she lifted an astonishing 670 pounds. Meanwhile, all of this intense lifting and training happened while the Akulova’s barely had any food on the table. When the family was at their worst, they subsisted on strictly noodles and water. Today, her diet has improved tremendously, although it pales in comparison to what power lifters in America consume. For her, a good day’s diet will consist of one egg, a slice of bread, some milk and juice, and some noodles at dinner. If she’s lucky she gets some meat. Imagine the possibilities if she had protein shakes and chicken and rice readily available? She’d probably be able to single-handedly lift Ukraine out of its current economic misery. Today, Akulova has taken up other hobbies besides lifting heavy things and people. Cosmo Taylor is the UK’s youngest competitive bodybuilder, and his future looks as bright as a bodybuilder spray-painted orange. Born and raised in Inverness, Scotland, Taylor comes from a family of bodybuilders. And considering the state of soccer in the U.K., it’s probably best that Cosmo chose a different route, because we all know a World Cup victory won’t be happening any time soon, but a body building championship could be on the horizon. His dad, who is also his coach, was a competitive bodybuilder, and his older sister is equally involved in the sport, and she can lift heavier than Cosmo- at least for now. Cosmo began picking up and putting down heavy things at 11, and his workout regimen is nuts. He lifts for one hour every day in addition to doing cardio before class every single day. When it comes to eating, Cosmo takes that equally as serious. You guessed it. Protein, protein, and more protein. 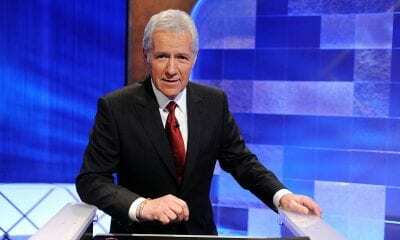 In one of his biggest competitions, Taylor, who was two years under the age limit, still managed to place third. He’s either that strong, or the competition is that weak, and we’re going with the former. On Instagram, Britian’s young gun has over 1,000 followers and posts regularly about his competitions and his diet. Can’t forget to remind people of how strong you are and what foods are allowed to enter the temple that is your body. Kyle Kane was dubbed the “World’s Strongest Boy” after an impressive day of lifting heavy things at a charity event. 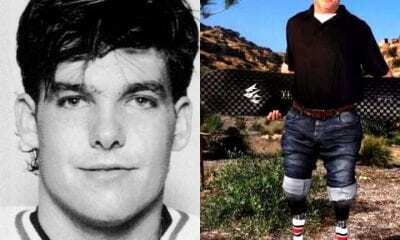 At the time, a 12-year-old Kane, who weighed 140 pounds, hoisted a 308-pound weight in one fluid motion. 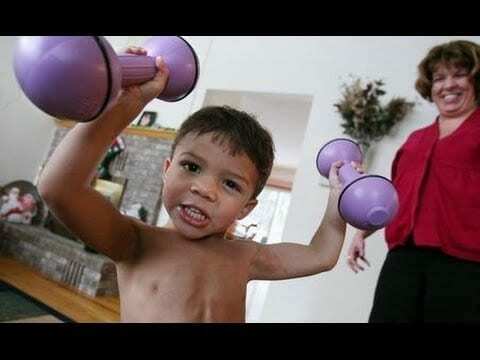 Like many others on this extreme list, Kyle started weightlifting at a young age. 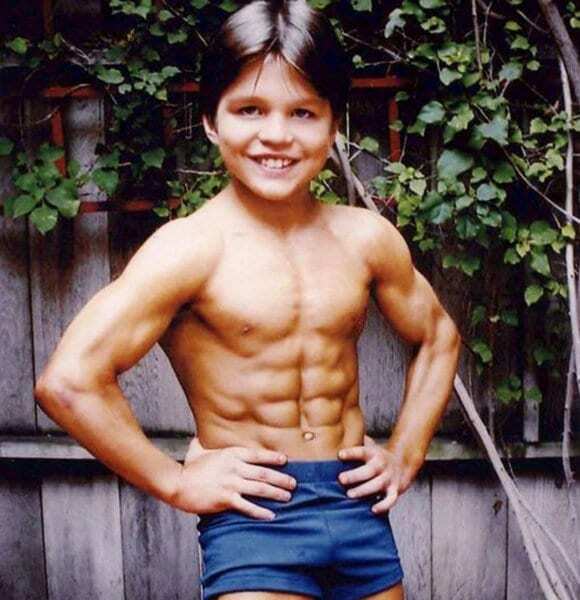 When he was just 10, Kyle began to hit the gym and was aided by his father, a former professional bodybuilder. Most 10-year-olds prefer a nice session of cartoons and some video games. Not Kyle. He prefers a good pump in the gym, and along with his muscles, Kyle’s aspirations have also gotten to be quite large. “Hopefully,” he told British tabloid Express, “one day I can train in the Olympics or compete in the World’s Strongest Man.” Besides the thrill of lifting, Kyle gets a pretty big kick out of winning prizes and setting records. Here’s to hoping his ego doesn’t get too big in the process. Also like others on this list, Kyle has a common hero (other than his dad). Arnold Schwarzenegger, and that’s why people back home in England endearingly refer to him as “Little Arnie.” But lifting isn’t his only interest or skill. By the time Kyle was nine he had a black belt in karate, and nothing is more lethal than being strong AND skilled. So if Kyle’s karate skills weren’t polished enough to break wooden boards, his raw power definitely would be. Introducing the strongest family in America and most likely world, and the two children that make this family tick: Dylan and Jessica Best. The parents are, naturally, bodybuilders who met while training, and they imparted their love for heavy lifting on their children. And Jessica is making her own massive strides with lifting. She’s a 46-pound five-year-old, but she lifts like an adult and can dead lift over 100 pounds. To keep the family strong, the Bests need to consume a ton of calories, and they do so with ease. Dylan and Jessica consume over twice the amount of recommended calories for their age group, and the family isn’t far behind. The father, Nick, eats about 15,000 calories per day and the Best family consumes, on average, 120 eggs per week. Despite pundits claiming how detrimental lifting heavy can be on a child’s body, the Bests don’t seem to be overly concerned. Nick says neither child is ever sore and they love doing what they’re doing, so why inhibit a budding passion. Thanks to a genetic mutation, Liam Hoekstra has more muscle mass and definition and a better metabolism than 99 percent of us will ever have in our lifetimes. He can eat what he wants without any repercussions and has almost no body fat. Plus his muscles grow at an unnaturally fast rate. Why can’t we all be like Liam? The mutation is called myostatin muscle hypertrophy, and it essentially increases Liam’s muscle mass and reduces his body fat. So how strong was Liam? At 5 months old, Liam could do an iron cross, an incredibly challenging gymnastics move. By eight months, Liam could do pull-ups, and by nine months, he was walking up and down the stairs. 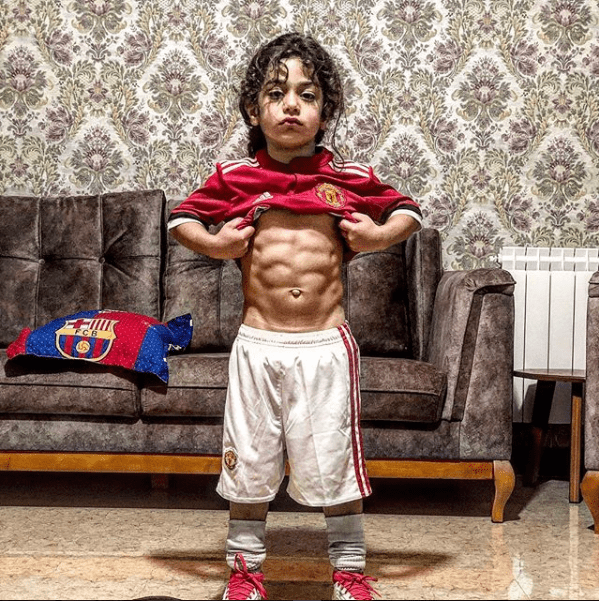 When he was 18 months old, he could do inverted sit ups, the perfect exercise to flex is six pack. In gymnastics, Liam is by far the most physically developed pupil and can manipulate his body in ways his peers can only dream of. But what’s even crazier than his physical abilities are his eating habits. According to his mother, he needs to eat a full meal almost on the hour and his dad said that Liam, at just three years old, eats almost as much as he does.